Recent Arrival! **ACCIDENT FREE CARFAX**, **NON-SMOKER**, **CARFAX ONE OWNER**, Santa Fe Limited Ultimate, 4D Sport Utility, 3.3L V6 DGI DOHC 24V, 6-Speed Automatic with Shiftronic, FWD, Monaco White, Gray w/Leather Seating Surfaces. Limited Ultimate CARFAX One-Owner. Clean CARFAX. 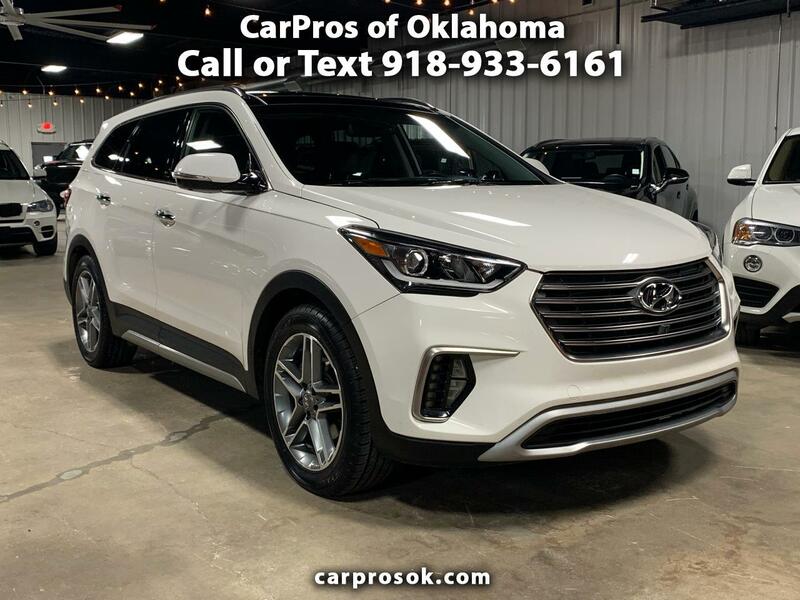 2017 Hyundai Santa Fe Limited Ultimate 3.3L V6 DGI DOHC 24V FWD Welcome to CarPros of Oklahoma! We are an independent Used Car Dealer with over 35 years of experience in the retail automotive industry. Our business philosophy is very simple. We deal only in premium quality used cars, trucks and SUV's that we can stand behind and be proud to offer. We have very low overhead and focus on quick turnover of our inventory. Message: Thought you might be interested in this 2017 Hyundai Santa Fe.